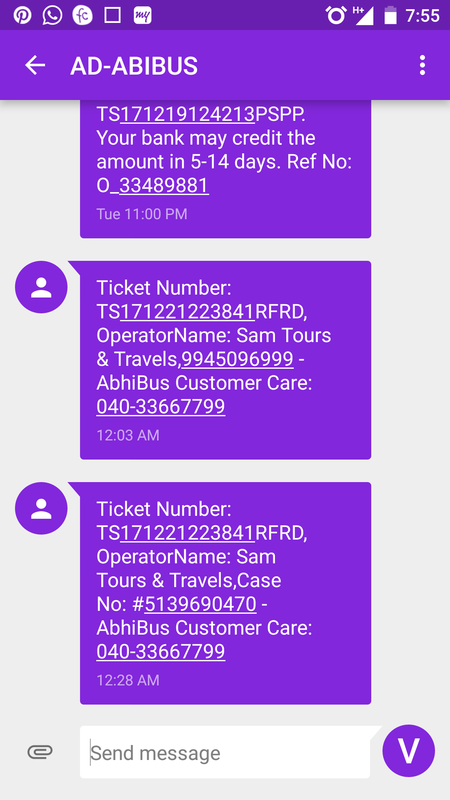 ﻿ Sam Tours And Travels - Bus Not Picked Up The Passenger And When Contacted Being Rude And Saying Bus Went In Different Route. 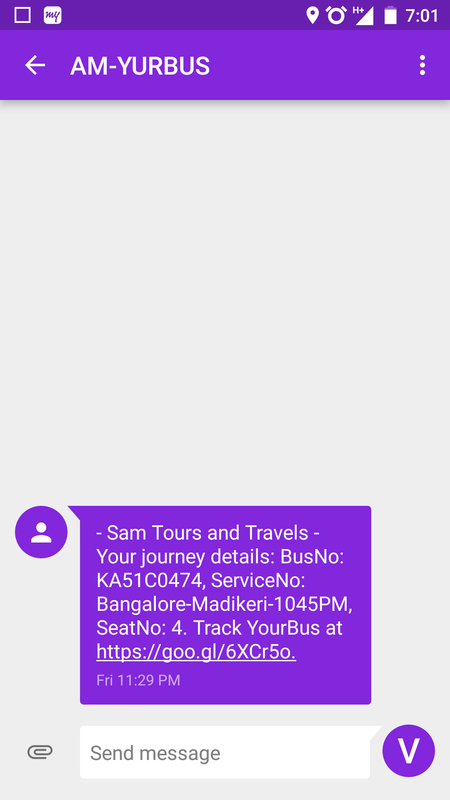 Home > Sam Tours and Travels > Sam Tours and Travels - Bus not picked up the passenger and when contacted being rude and saying bus went in different route. 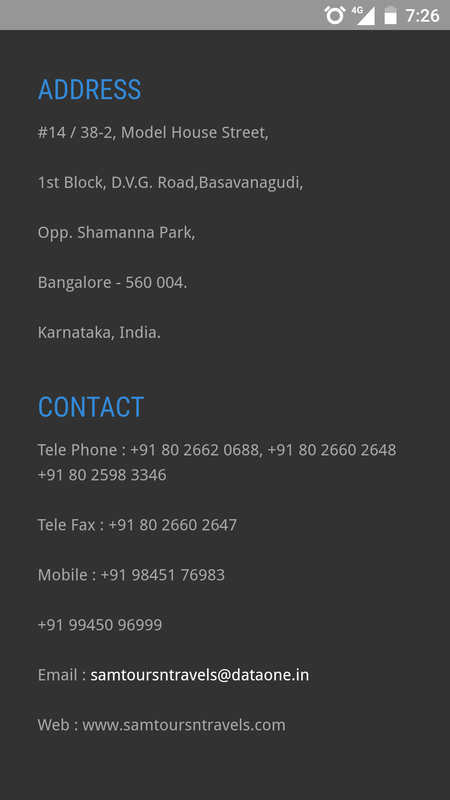 Sam Tours and Travels - Bus not picked up the passenger and when contacted being rude and saying bus went in different route. 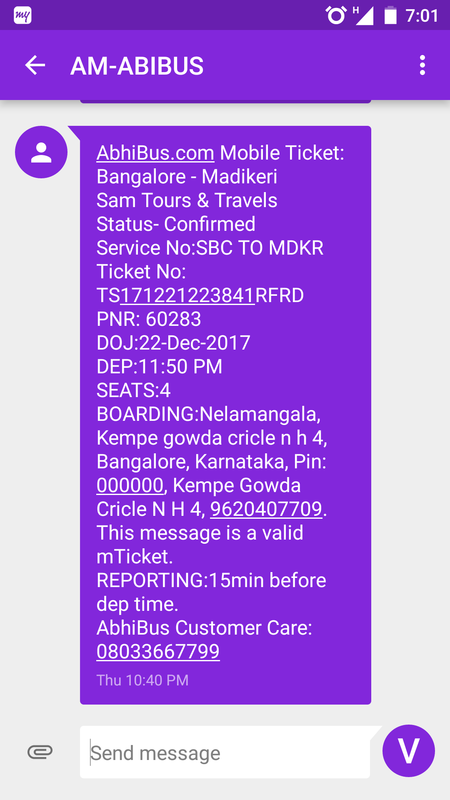 I had booked a bus ticket to travel from Bangalore to Madikeri (Karnataka) on 22nd December 2017, 11.50 PM in Sam Tours and Travels but bus had not come to the pickup point and went in different route without informing the passenger and when contacted the driver was rude and told we can't help you and disconnected my calk and switched off his mobile number and I was there waiting for more than 1 hour at midnight 12 AM single lady with my 1 year old baby .so I need you to take action on Sam tours and travels and punish them to avoid make fraud like what I have faced.